CIOs, network administrators and data-centre managers who see a need to run full-fledged, unmodified enterprise software at the edge of their networks, on factory floors and oil rigs, now have an opportunity to do so. 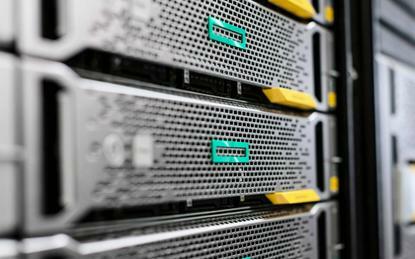 Hewlett Packard Enterprise is certifying complete enterprise software stacks for its EdgeLine converged infrastructure devices, allowing enterprises to run the exact same applications in the data centre, in the cloud or at the network edge. The EdgeLine systems use Intel Xeon processors and offer built-in computing, storage and data-capture, taking data-centre power to the edge of the network in hardware that can be placed on factory floors, rail cars or even windmills. EdgeLine systems merge operational technology – controlling everything from factory equipment to pumps, heating and cooling systems and electrical power – and information technology. They incorporate HPE's iLO firmware, allowing them to be controlled from the data centre or remote devices using HPE management software. "HPE is probably the only vendor who supports the operational technology systems and operational technology networks and devices directly, whereas the other players use some form of gateway or some form of protocol conversion that’s probably in a separate box somewhere," said Peter Havart-Simkin, research director for IoT for Gartner. "So EdgeLine is different in the sense that it can actually support the operational-technology side of the business and the information-technology side of the business." With the move to certify complete enterprise software stacks for its EdgeLine devices, HPE's merger of IT and OT becomes even more solid. "We will ship enterprise class-compute, storage and manageability out to the edge, out of the data centre, out to the cloud, no compromise," said Tom Bradicich, general manager and vice president of IoT and converged systems at HPE. "Most edge systems are either closed and proprietary or they're quite compromised; they have lower processing power, or smaller memory – they can’t run fully enterprise-class applications." Various software companies offer modified versions of enterprise applications for edge devices, often tapping container technology, but they need to connect to the cloud to be fully operational, noted Havart-Simkin. Having complete enterprise software stacks that can run in places like oil rigs or factories in remote locations is a huge advantage for enterprises, he said. "If you're running a factory in South America where the networking is dodgy in that country you wouldn’t want to run your manufacturing execution software on the cloud because the network could actually stop your factory from working," Havart-Simkin said. Another advantage of having full systems – complete with enterprise-class storage – on the edge is that it helps companies comply with data privacy regulations. "Some companies can't have their data leave the edge," said Bradicich. To complement and support enterprise applications running on the EdgeLine devices, HPE also announced the EdgeLine Extended Storage Adapter option kit, which adds as much as 48 terabytes of storage to the systems. The extra storage is meant to enable data-heavy workloads like AI, video analytics and databases. It will also let enterprises use a variety of storage management tools like HPE's StoreVirtual VSA, VMware vSAN and Microsoft Storage Space, HPE said. The extended storage adapters will start at a list price of US$299. SparkCognition's SparkPredict, which taps Spark machine learning technology to enable predictive analytics and provide advanced failure notices to data center managers. In addition, HPE will certify Azure Stack, Microsoft's on-premises version of its public cloud, and SAP Hana, SAP's in-memory data platform, in "the September timeframe," as it rolls out the Extended Storage Adapter, Bradicich said. Since the versions of these applications that run on EdgeLine systems are the same ones that run in the enterprise data centre and in the cloud, no new skills are need to manage them, Bradicich said.